Citigroup's shares are up 30% since CEO Michael Corbat took over in October 2012. Citigroup finally got it right, passing the quarterly test put forth by Wall Street analysts. For most banks, beating analysts' estimates is nice but Citigroup is not most banks. It struggled under former CEO Vikram Pandit to gain any traction after a near-death experience during the financial crisis. Last quarter, Citi's new CEO, Michael Corbat, failed to meet analyst expectations during his first reporting period as CEO. Now it seems that he's starting to make progress. Citigroup (C) reported a 30% jump in first-quarter net income to $3.8 billion, or $1.23 a share, and a 6% increase in revenue, to $20.5 billion, helped by strength in investment banking. Corbat called the results "encouraging," and it appears Wall Street was also feeling encouraged. Citigroup's shares rose more than 2% Monday, after rising more than 30% since Corbat took over in October 2012. Under Pandit's five-year reign, Citigroup's shares lost roughly 90% of their value. Citi's investment banking revenue jumped, despite a slip in trading revenue year over year. The bank increased its retail banking lending as well as deposits, but lower margins on loans cut into the bank's profits. Citi also saw negligible profits in its consumer banking business. Citi's chief financial officer, John Gerspach, said he remains concerned about the economic recovery. "There's not a real confident consumer driving the economy," he told reporters during a call Monday. Still, the housing rebound helped Citi ink smaller losses -- roughly $794 million -- in its Citi Holdings unit that houses $149 billion of problem assets left over from the financial crisis. In previous quarters, those losses came in above $1 billion. 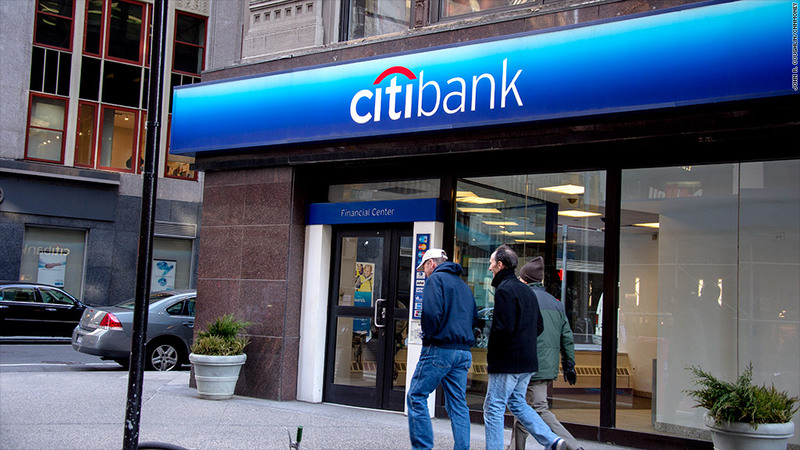 Analysts were pleased to see the bank make more progress than expected in winding down what's left in Citi Holdings. "This bodes very well for the future," said Gerard Cassidy, a bank analyst at RBC Capital Markets. "If you believe that the U.S. housing market is in a recovery, lower losses from Citi Holdings should be expected going forward." While litigation expenses dropped this quarter, they remain a wild card for the bank. During an analyst call Monday, Corbat refused to predict when certain pending cases could end. "The legal community is very creative, he said. "There's always an opportunity for additional litigation. I don't think lawyers have statutes of limitation." Cassidy estimates that legal expenses should fall within a range of $600 million to $800 million per quarter going forward, yet he says: "It will remain elevated, and it's hard to confidently predict where they will be." Corbat still has a big job ahead. In December, he announced an ambitious cost-cutting plan in December, which included 11,000 layoffs. At the time, Citigroup said the changes would lower expenses by $1.1 billion per year by 2014. While expenses rose 1% in the latest quarter, they were down 10% from the prior three-month period. Gerspach said the rise in expenses this quarter was largely due to setting aside more for "incentive compensation," adding that the bank's cost-cutting efforts were on track. Citigroup is the third bank to report earnings, following JPMorgan Chase (JPM) and Wells Fargo (WFC). Both banks failed to impress Wall Street with their results last week. Goldman Sachs (GS), Morgan Stanley (MS) and Bank of America (BAC) will release results later this week.